The breeze never seemed as pure as in Mirik hill station if compared to other 'British Era' summer resorts where they have left their raving imprints in most expected and most hooded ways. Classic English architecture and the leisurely pace of life still tell about the time that somehow bypassed mountain culture of traditional India. 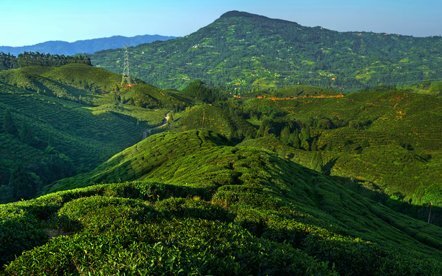 Mirik is a newfound hill town in the heaven called Darjeeling, tickling curious and exploring travelers under their chin. They can start with the clear expanse of Sumendu Lake where the opportunity of boating and picnicking entices more than anything else. Seducing the couples and travel enthusiasts with the lake, Mirik binds them with the mysticism crafted by the shimmering reflection of the town in the lake. Around the town, tea estates stand like a protecting shield of greens which is also caught in the same reflection. 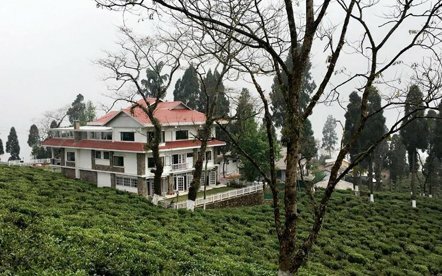 Though the tea estates had been there for quite some time as much as the man-made lake, the popularity of the hill town has began recently and not exactly in 1979 when Jyoti Basu inaugurated the place. 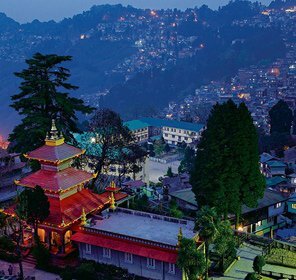 The growing number of Indians who are on constant lookout for the unexplored places made Mirik a hot spot when they are visiting Darjeeling hills. 'Unexplored' commonly translates in to a place where face and body of Nature is not marred by tourism in an irrevocable manner and at 1767 m, Mirik travel surely unravels a jewel, which is not much branded otherwise. The promenading calmness in the valley and beside the lake is a great way to start cool vacations in Mirik, pronounced as Mir Yok. It gives away its connection with Buddhism in phonetics but to get the real feel one has to become a part of the place enjoying Mirik tourism. A temple is dedicated to Devi Durga- an incarnation of Shakti and is of great interest to the tourists who generally belong to Bengali community. The temple is also referred to as abode of Singha Devi. Buddhism has left it marks on various parts of the northeastern India and one such place where the traces of the religion is revered with tranquility meandering to home is the sanctity of Bokar monastery, located on the way to Rameetay Dara. A beautifully Church commemorating the antiquity of this religion is located in Mirik nearby Don Bosco School. 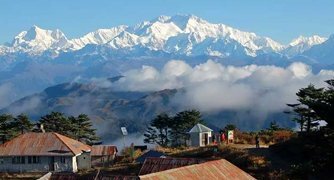 Tourists as well as locals would not hesitate to commend it as one of the most marvelous place to think of God in whole Darjeeling district. 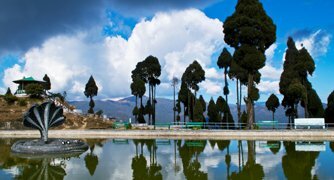 Pride of all the Mirik itineraries, the lake allows no one to escape the enchanting embrace of the quiet caress received by every tourist-turned-admirer. Boating in the lake is an opportunity every one coming to Mirik looks forward to. The rising Sun is an enchanting event already and when observed from the site surrounded with the tea and coffee plantations, the visual is more binding than one can ever see. 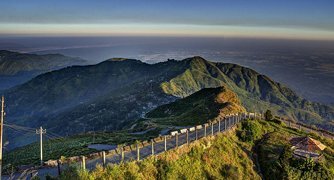 If viewing Mirik from a tried and tested angle to admire Nature in general, this could be the place tourists might get extremely interested. This is best vantage point to get a complete view of the estate on the rolling hills. 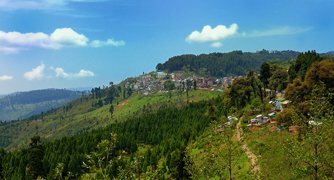 It is also one of the viewpoints in Mirik from where people enjoy the sights of the place as encompassing whole. Local people as well as tourists who wish to spend some time renewing old bonds with family or with friends find this place as a great picnic spot. In addition to being the source of drinking water to the locals, it is quite a feat for picnicking. 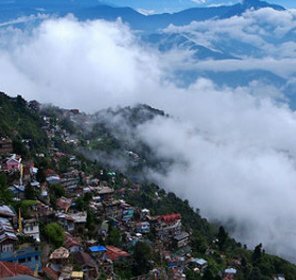 Another sub-divisional town in the district of Darjeeling in West Bengal, the place at an altitude of 1,458 m is a great way to extend the vacation, added to Mirik tour package. Being near to Siliguri is another advantage that comes with visiting it. This place is a natural part of itinerary of those choosing to visit Mirik. Combining the place with the other hill stations in the same region can extend the extent of pleasures, especially if these are not located very far off. The wildlife sanctuary is an added pleasure for the Nature enthusiasts. 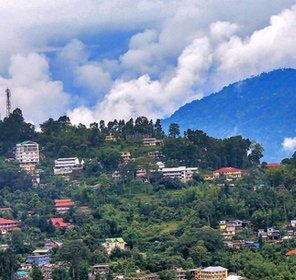 This tiny hill town is also on the way to Mirik, located just 11 Km away from Ghum. One can enjoy trekking in the area and nearby catching the glimpses of mighty Kanchendzonga. Orchids, forests of rhododendrons, etc are waiting to be looked at by the lovers of distinct sub-alpine flora. A reserved forest that literally means 'the world of Lepcha' is a place where the lovers of wildlife can have a great time. A great birding place, it also falls on the route to Mirik. With the lake drawing most of the attention, it does not come as a surprise when most of the Mirik hotels and resorts are dotted across the lake. One might settle on a cozy room with a huge window to take in the whole view of this small hill town while spending some of the most memorable of vacations. Some of the common names for comfortable accommodation are Hotel Sonar Bangla, Hotel Darjeeling Palace, Jagjeet Hotel, Hotel Ratnagiri, Motel Swiss Cottage, Park Hotel, Sadbhavna Hotel, Viraz, Ashirwad Guest House, Rangbhang Homestay and many more. 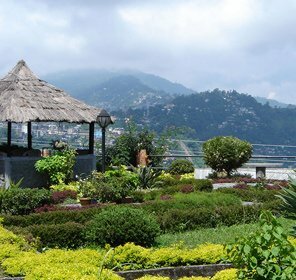 Summers and Monsoon are considered most relaxing and most rewarding for the travelers to Mirik. Bagdogra Airport, located at a distance of 52 km from Mirik, is the nearest airport to this pristine destination of West Bengal. 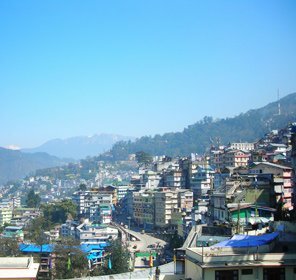 After reaching Bagdogra, one can hire a cab or taxi to Mirik. If you wish to travel to Mirik by train, you can take a train to New Jalpaiguri railway station, located at a distance of 56 km from Mirik. A taxi or cab can be hired from New Jalpaiguri railway station for onward journey. Mirik is well connected with other parts of the states via roads. So, you can travel by your own vehicle or can get a State Govt. run bus to this popular tourist attraction of West Bengal.